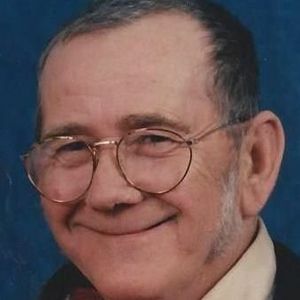 CLEATON - William Darrell Landrum, 76, of Cleaton, died Wednesday, August 16, 2017, at 4:14AM at his home. Mr. Landrum was born March 30, 1941, in Muhlenberg County. He was of the Baptist faith, and enjoyed hunting and fishing. He was preceded in death by his parents, Joe Bill and Mary Lou Landrum; and several brothers and sisters. He is survived by his wife, Janie Sue Bouldin Landrum; children Melody (Danny) Knight of Drakesboro, William (Sabrina) Landrum, Jr., of Cleaton, Scotty Landrum of Cleaton, and Holly Gunn of Cleaton; grandchildren Timothy (Courtney) Knight, Emilee (Trevor) Duncan, Ashley Carroll, William Canary, Tanner Knight, Rikki Beth Carroll, Abby Gunn, Estil Canary, and Zackary Landrum; great-grandchildren Hailee Knight, Maddie Knight, Layla Duncan, and Tylan Duncan; brothers Roger (Tracy) Landrum of Drakesboro, Donnie (Virginia) Landrum of Bremen, Jimmy Landrum of Cleaton, and Terry (Judy) Landrum of Cleaton; sisters Goldie (Lockey) Beasley of Greenville, Joyce Reed of Cleaton, Shirley Piper of Cleaton, Mary Warner of Central City, and Patricia Thacker of Central City; and several nieces and nephews. Funeral services will be Friday, August 18, 2017, at 2:00PM at Tucker Funeral Home in Central City, with Bro. Robert Lindsay officiating. Visitation will be Friday after 10:00AM at the funeral home. Online condolences may be made at www.tuckerfuneralhomes.com. I am truly sorry for the loss ,first memories of him ,came by with bobby his jaw was broken ,not sure now what year we still lived on string town rd . Janie and family. We are so sorry for your loss. May God give you comfort during this time. My condolences to the family and friends who will miss Mr Landrum...He fought hard fight and now has finished his journey...I knew several of his family for long while..